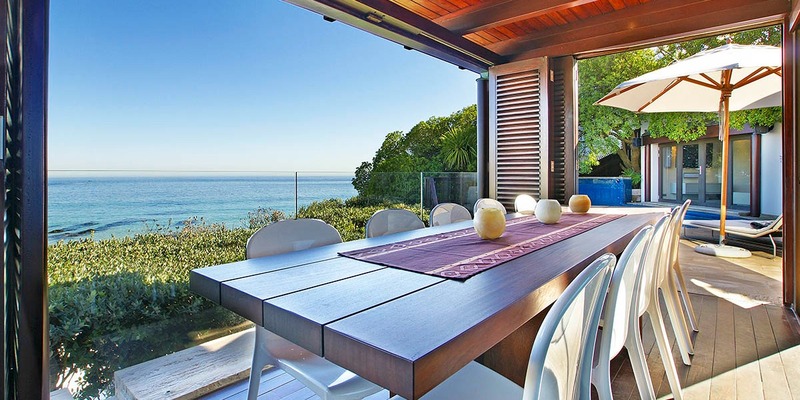 Picture this… seaside living at its best near Third Beach at the awe inspiring Clifton Beach Villa. 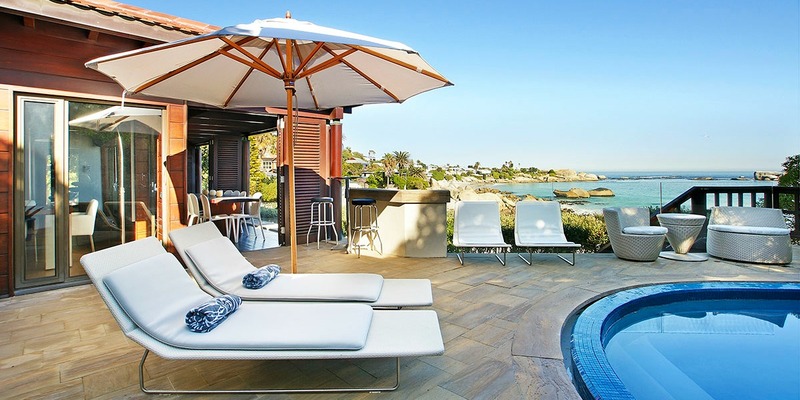 It’s a luxury villa in Cape Town where the sky and waters meet. You will surely love this haven with a panoramic vista of the Atlantic coast. 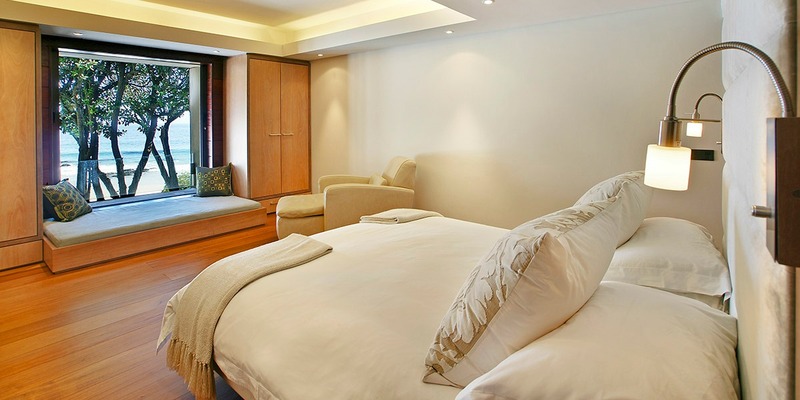 A place you will settle in while on vacation in one of South Africa’s pristine environments. The heated pool is next to Clifton’s Third Beach. You witness a spectacular seascape as well as a shore that stretches to where you will find Cape Town’s much-loved hangouts. Loosen up. Release the stress and strain as you swim and relax in the pool. Let your mind and body cool down as you feel the water touch your skin. The dining deck is always as refreshing as the sea breeze that greets you every morning. Share meals with friends and family. Day or night, eating at this magnificent spot constantly revives the senses. Just looking at the awe inspiring scene makes you feel at ease as well as carefree. It surely is a luxurious retreat that everyone will remember. 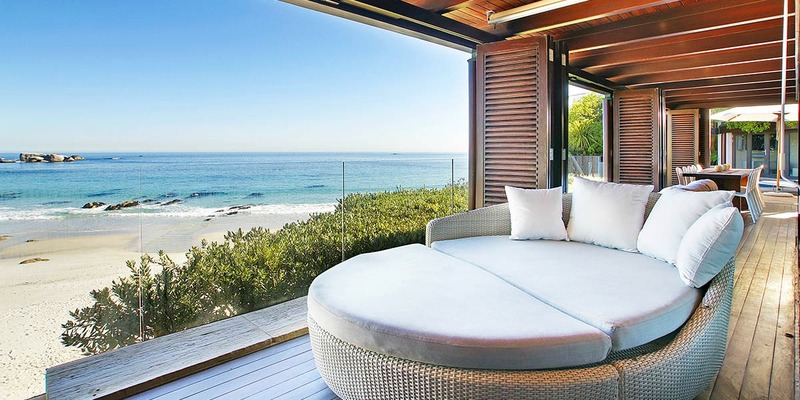 Bathe in the sun in this beach house close the ocean. There are cushioned sun loungers waiting on the pool deck to keep you at ease while enjoying the outdoors. A pool umbrella also provides protection and shade from the sunlit skies during midday. The pool is also accessible to the dining deck as well as the indoor living area. Sit comfortably or lie down. You can laze about however you want. Here’s the point… It is your vacation, you can forget everything else. You can freely do whatever you will in this Clifton home. 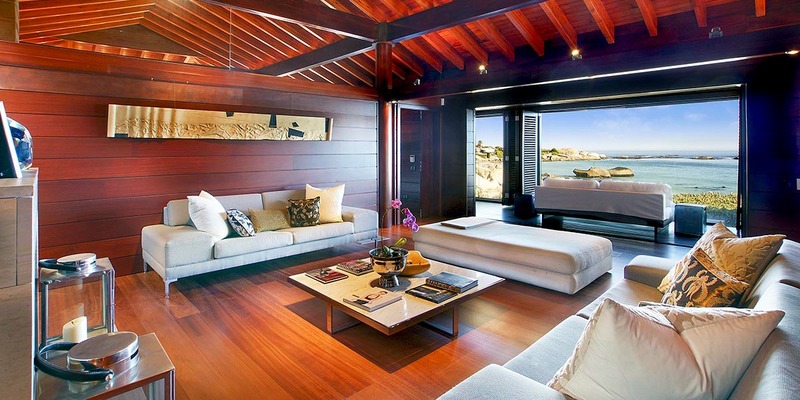 The spacious lounge area leads to the pool. Imagine swimming while the sun sets or after waking up in the morning. Wouldn’t that be terrific? 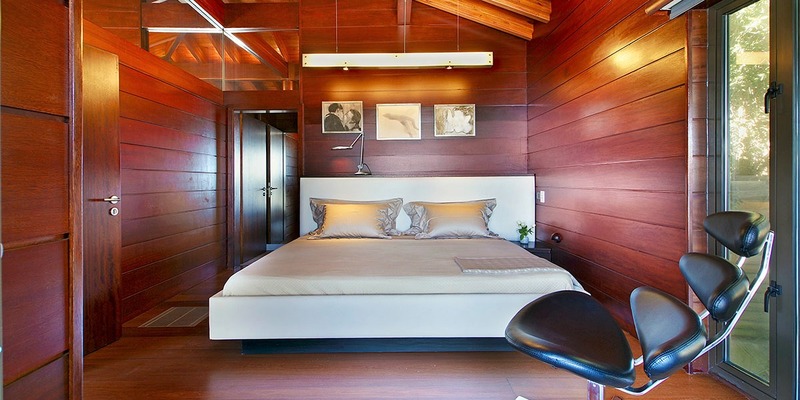 One of the bedrooms exhibits a solid dark wood interior. It is a design consistent all throughout the bungalow. The huge bed with clean sheets provides you with the essentials. A room with a traditional motif adorned with classic portraits as well as modern furniture. Mellow and comfy, it allows you to rest easy and undisturbed. Sleep peacefully all night. Listen to the sound the sea makes as the waves unendingly hit the shore. The infinite blue sky and waters invite you to rest and recharge. This is your home beside the Atlantic Coast. A sanctuary where you will find clarity as well as tranquillity even as you lie down this round sofa beach bed while gazing at the ocean. 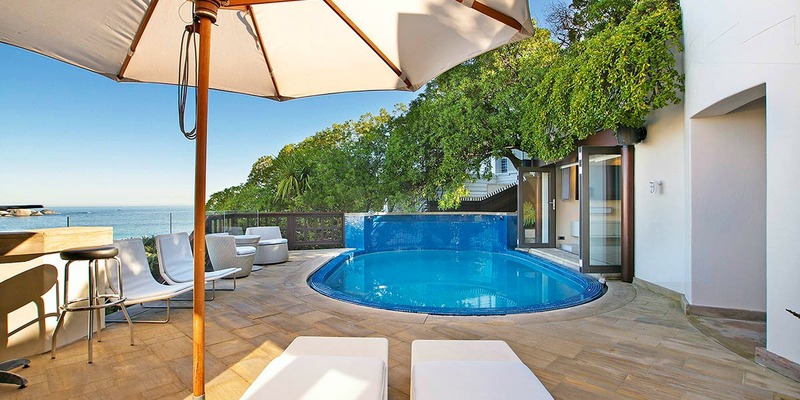 The Clifton Beach bungalow has five bedrooms. All are air conditioned with individual bathrooms. This bedroom has light fixtures that allow you to read before you sleep at night. The brightly coloured interior and the wooden finish cabinet and floors offer a relaxed and homey atmosphere. The best part is the portrait window with a spectacular view of the sea. 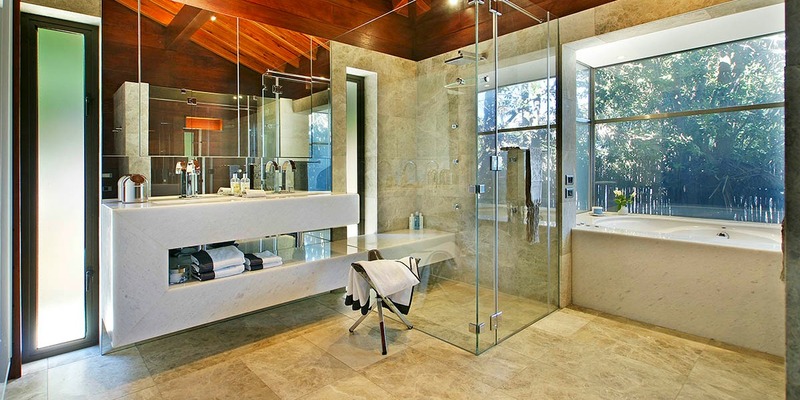 By the way there is a contemporary bathroom with a classic touch at this Clifton Beach home. It has a wooden ceiling. Tiles are in subtle pattern variations and natural colours. The lines are neat and smooth. The bathtub has an outside view and a shower with glass doors. Everything you need carefully considered in a simple yet functional design. Imagine a cosy living space in a quiet setting where gathered are the ones you hold dear. A natural portrait of the seascape ushers you in. You see comfortable couches with soft snug pillows that invite you to sit and admire the view. 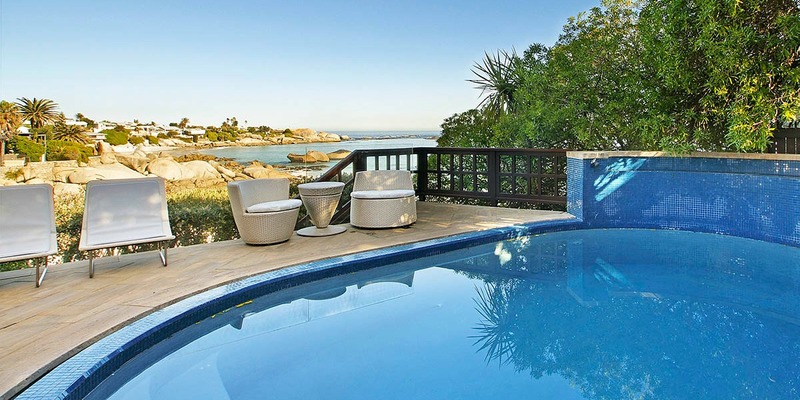 A beach house in Clifton where you find yourself at home, you prefer to prolong your stay.